Gorgeous card Lyn, I like the sweet image and the leaves. 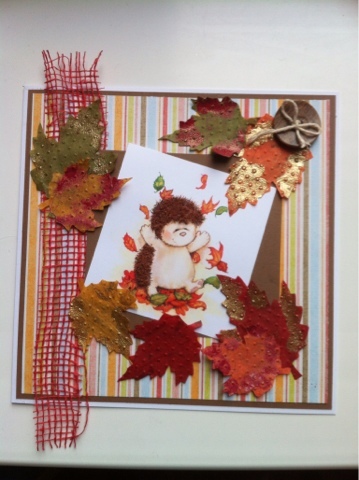 Great Autumn card - love that hedgehog and fabulous Autumn colours. Hello Hun how are you doing? I am so loving your card as Autumn is my favourite time of year. Stunning little hedgehog.